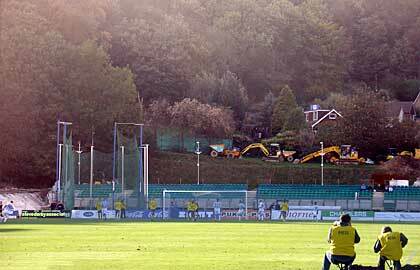 Ah, the delights of lower division football. 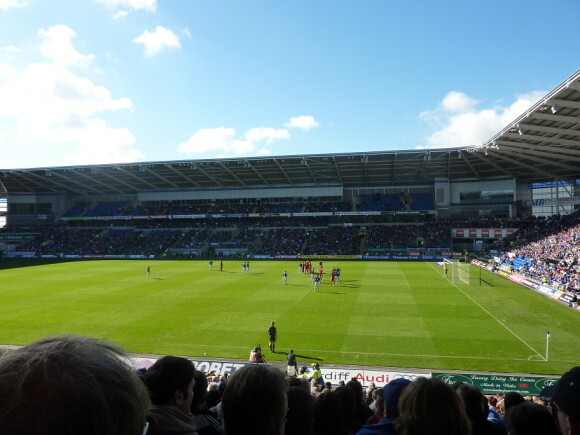 On 15th September 2001, I took a trip with the 1927 Club to see the mighty Cardiff City take on the titans of Cambridge. 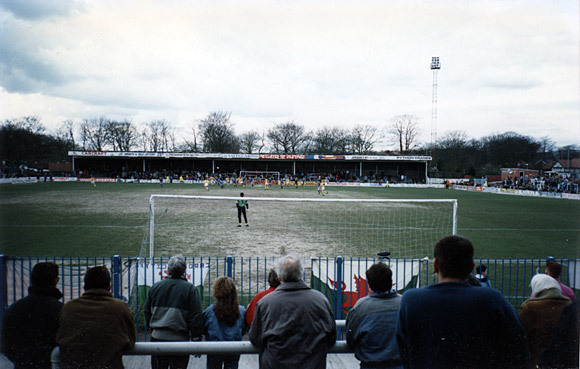 The last time we’d met (on 15th April, 2000), the U’s had thumped us 4-0 at home, and I was at the even bigger home drubbing back in 1994 where they’d crushed us 7-2 at Ninian Park. So, clearly, we were going to avenge these defeats and emerge victorious? Well, no. We lost again. 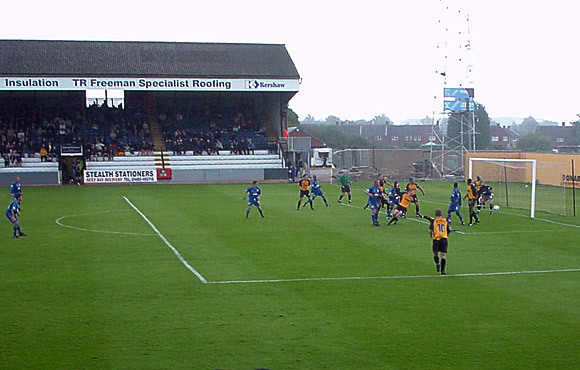 The match was in League One (that’s really Division Three in old money), and played at Cambridge’s Abbey Stadium, the team’s home since 1932. 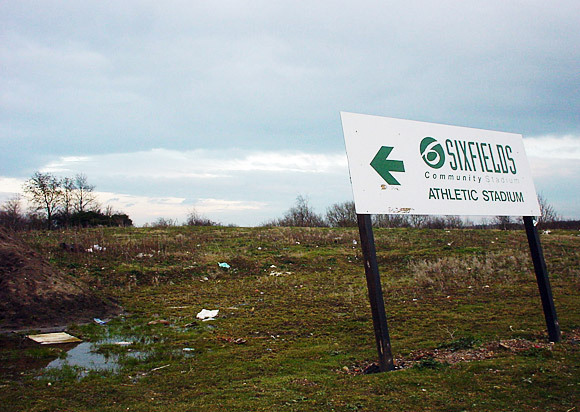 Sadly, since 2009 the ground has been burdened with the name, “The R. Costings Abbey Stadium” as a result of some sponsorship deal or another. 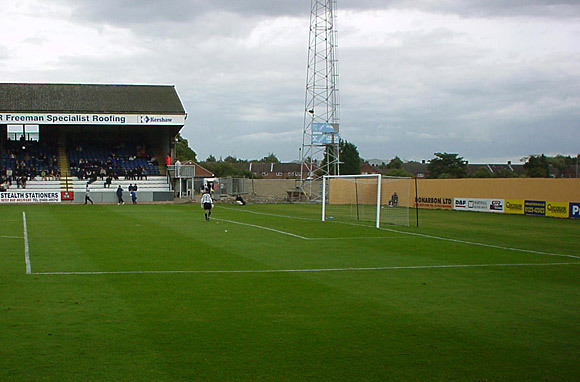 Although the ground was missing a stand, we were suitably impressed with the electronic scoreboard. There’s posh! 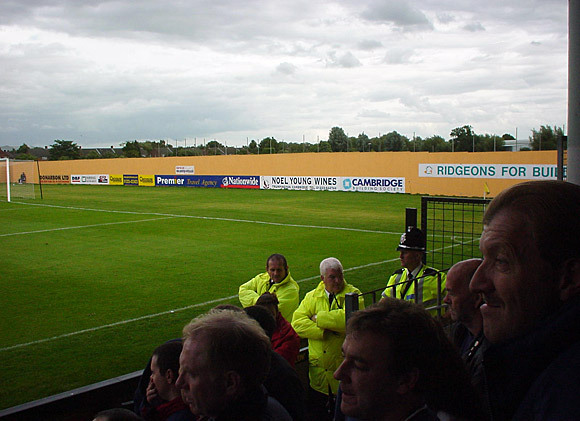 The empty space awaiting the construction of the ‘Marston’s Smooth South Stand’ — a single-tier, all-seater stand, which opened the following year. 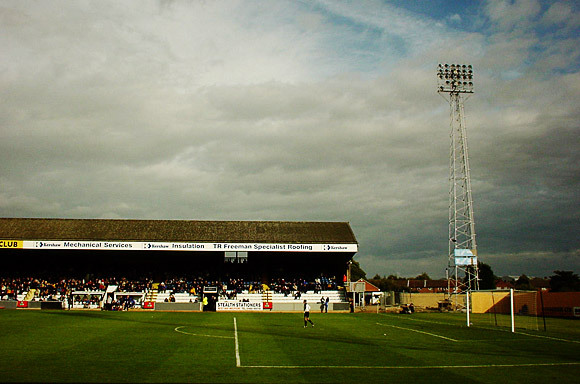 I liked Cambridge’s ground: it’s got proper floodlights and there’s some history to the place. 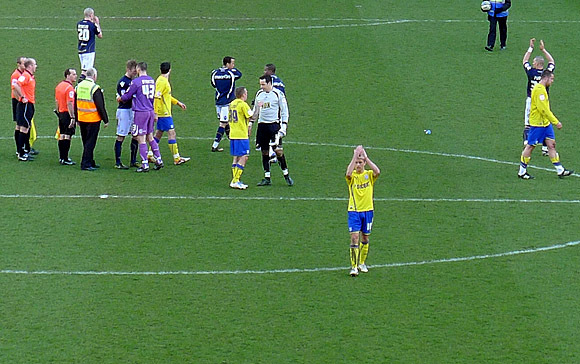 I didn’t like the result though: we lost 2-1, although the triumph was short lived for the U’s, with the team falling out of the league four years later, and they’re currently still languishing in the Conference National. 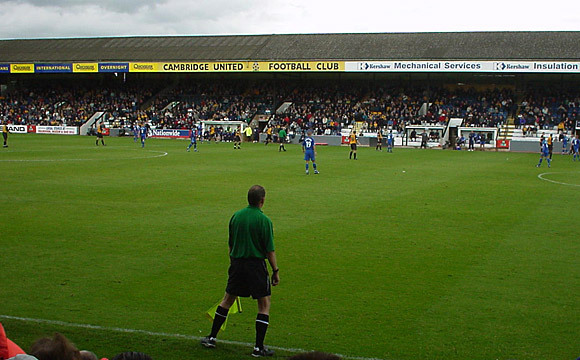 As a Cambridge fan the 0-0 & the 4-0 were the oddest 2 results ever. Think they were in the same season. 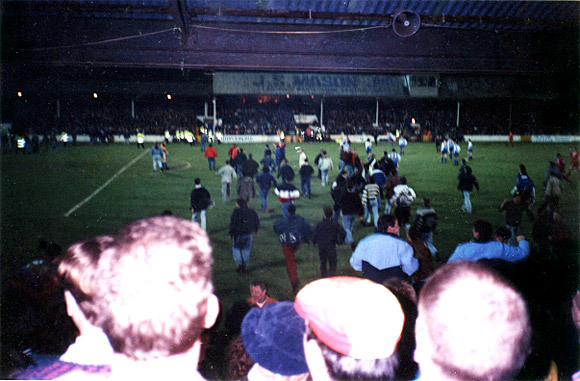 The 0-0 at the Abbey – I’m pretty sure we threw the kitchen sink at your 8 men & then nearly conceded late on – think you hit the bar. The 4-0 at your place was the least deserved 4-0 I have ever witnessed, we were rubbish, had 4 half chances that all somehow went in.